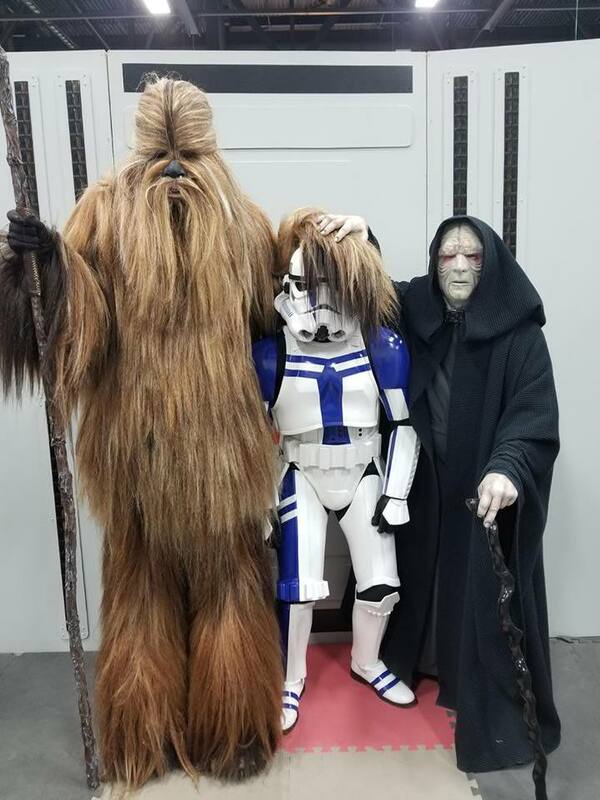 I got my wookie done in time for our local expo this week end. It still . needs some work. Too much hair on the face and the hair on the shirt is too long but other than that I am very happy with it. After a lot (and I mean a lot) of trimming I finally have my wookie where I want her. Wish I could have used this picture for my approval picture...lol. Yay! I am now official!!! Longest costume build I have ever done but so worth it. CONGRATS!!! Looks awesome and I agree, the finished result makes up for all the time spent working on it. 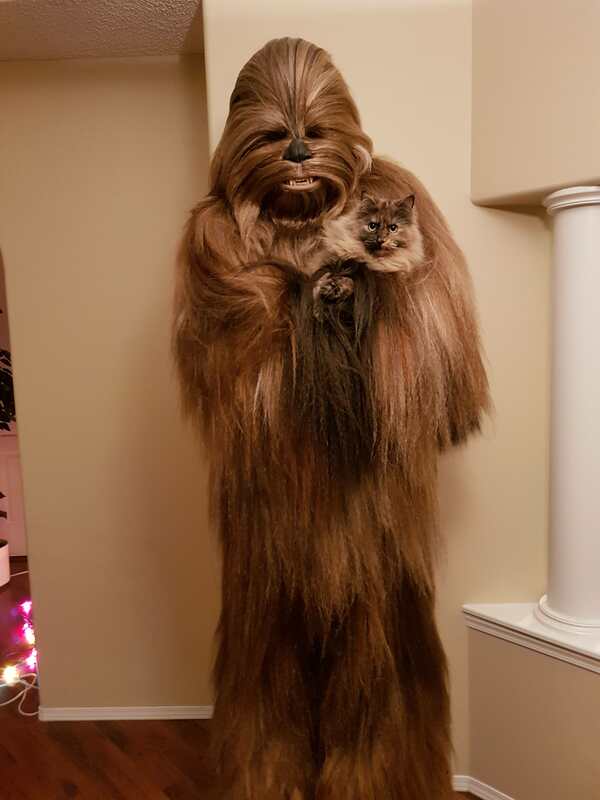 Everybody loves wookiees! Well, except maybe the occasional 2 year old that has no idea what you are....but in time they will understand! !